Whether you come along for fitness or just for fun, Airtime Halifax has something for all ages. 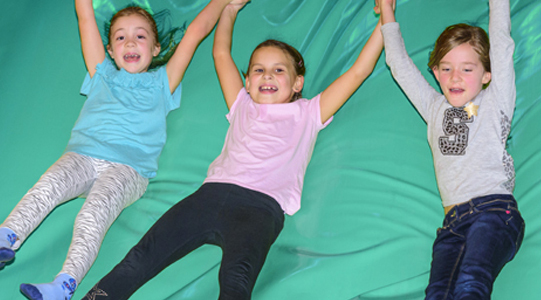 Under 5’s can visit Playtime play-gym or enjoy the trampolines with an accompanying adult, while older visitors can enjoy all aspects of the park and over 14’s can book in to our Airtime fitness sessions. All visitors are welcome to enjoy great food and drinks in the air-conditioned Dinetime Café. Open access to all areas of the park. Jump around and go where you like! 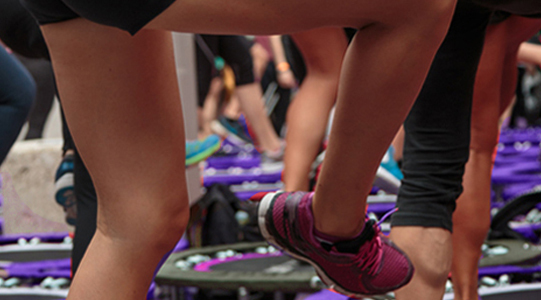 Fitness sessions take place on Mondays, Tuesdays and Thursdays at 7pm. They last approx. 1 hour and include check-in and safety briefing. Every Friday 6pm - 9pm, includes 1 hour jump, Airtime grip socks, dance music, disco lights, and a hotdog for everyone! All for £10 per person every Friday 6pm, 7pm and 8pm. Look out for our dedicated sessions for children aged 18 months up to 5 years old. Includes use of our toddlers soft play gym. Our toddlers play gym for up to 5’s. 2 floors of soft play zones to keep the younger thrill seekers happy and entertained. 60 minutes of crazy bounce time for just £3 per person. Shake off the Monday blues! 2-4-1 Open Jump Sessions Every Wednesday 3-7pm, interested? Check out the details by clicking here.